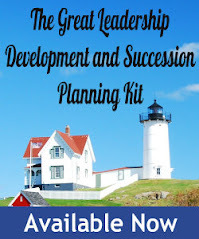 When I work with senior managers on their development plans, or facilitate talent review meetings, one of the most frequently mentioned development needs is a thing called “executive presence”, or “leadership presence”. “Presence” is one of those mysterious leadership competencies, and is a label that’s often used to describe a myriad of behaviors, including image, confidence, command skills, influence, high impact communication, authenticity, and yes, even a firm handshake. A CEO once described it to me as “when they speak in the boardroom, do people listen? Can they command a room”? It’s a competency that becomes increasingly important the higher a leader moves up in an organization. It’s less important for a working supervisor; critical for a CEO. While putting a label on it and being able to describe what it looks like (and what it doesn’t) certainly helps, knowing how to improve it is even harder. Fear not, it’s not impossible. Presence is not something babies are born with, it’s not some latent gene that comes alive when promoted. While it’s one of the harder leadership competencies to develop, it can be done. 1. Get feedback. And don’t just ask anyone, because presence is often defined differently. Find out from those that are making promotional decisions, either directly or indirectly, what it means and what it looks like. Every company culture is different. I mentioned the CEO example – his definition may not be perfect, but it certainly described what he was looking for. Your friendly neighborhood HR Director or VP will often have valuable insight in this area, and would be glad to tell you in a tactful way what it is and how you stack up. And by the way – when you ask for feedback, be prepared to listen. See 18 Tips for Receiving Feedback. 2. Get advice. Knowing where you stand against the target is important; so is getting advice on what to do differently. Your manager, mentor, HR pro, or trusted colleagues are all sources of advice. 3. Observe role models. Start paying attention to those that look and act the part. Watch how they conduct themselves, and see if there are things you can pick up. 4. Hire an executive coach. External executive coaches are often used to help prepare high potential leaders to get ready for or transition into senior positions, and are often called on to assist with presence. 6. Take a media training course. While learning how to deal with the media is something only the highest ranking executives will need to learn, you can use the same techniques to improve how you field tough questions thrown at you in the board room. There are also executive presentation and media training coaches, sort of a combination of 4,5,and 6. 7. Hire an image consultant. This is a resource and industry I’ve only recently become familiar with. I was asked to find help for a rising senior manager that needs a bit of a “makeover”. After some research, it turns out there’s actually an Association for Image Consultants International that provides professional certification and a consultant directly. Who knew? Although I haven’t quite figured out how to make the referral… wish me luck on this one. 8. Take acting lessons. I’m serious. There’s a company called The Ariel Group that uses techniques developed and honed in the performing arts to help business leaders develop leadership presence. The programs are all are led by facilitators from theater backgrounds. Many of the leading university based executive education programs use them. 9. Learn how to lead meetings. Meetings are where we “show up” as a leader. Like presentation skills, there’s a science to meeting management that can be learned. And honing your meeting leadership skills helps you become a better meeting participant. Ask a skilled trainer to teach you "facilitation" (how to lead a discussion) skills. 10. Read. I’ve listed this last, because it’s probably one of the least effective development methods for improving leadership presence, but when combined with others, sure can help. Looks for books on leadership, presentation skills, and biographies of role model leaders. Are there other ways to improve leadership presence? Please comment with your ideas. And first of all: agree there can be a problem with your leadership presence. When I go through your list I see some managers who know better that everything is OK with their presence so no need to work on it. Oh, there are those who are even aware of the issue but don't care at all. Thanks for the helpful tips.It gave me more insights on how to be an effective leafer. Great tips! People will take notice of you when they feel their opinion matters, so in this area, #9 is a key skill to develop. And balance your confidence and assuredness with humility and the occasional good old-fashioned self-depricating humor. Great list, Dan...you have nailed it. I especially like your advice to read. The only addition would be to be metaphor cognizant. Most leaders who create presence not only present well, but use clever metaphors that drive their points home in memorable language. I know CEOs who actually practice these and story telling before run of the mill meetings. They never miss a chance to impress. Pawel - for most of the managers I work with, "lack of presence" is something that is pointed out to them, and they are not sure what to do about it. GL – Agree! Metaphors, stories, and analogies are so important for high impact communication. Thanks. Dan, having written the book on this ("Seeing Yourself As Others Do - Authentic Executive Presence At Any Stage Of Your Career") it is so refreshing to see such a pragmatic, useful list of tools to demonstrate presence. We wrote our book after 20+years of executive coaching in response to the question of "OK, so you don't think I've got presence - now what do I do about it?!". This is a question that is not being answered in companies around the world. We have seen repeatedly that if you don't have authenticity, executive presence is meaningless. That's why it's crucial to remember that while you are the expert on your internal authenticity, or what you meant, others are the experts on your external authenticity - how it comes across to them. Once you realize how to shrink that gap, the display of presence becomes much more achievable. Thanks again for providing such meaningful dialogue on the subject. Carol Keers, Vice President, Change Masters, Inc.